April 19, 1995- Time for Peace, Hope & Serenity! BUT Never Shall We Forget! 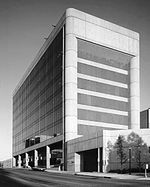 Has it been that long ago that I walked through the doors of the Murrah Federal Building in Oklahoma City? That’s rhetorical! I know exactly the last time was in March of 1995! Back then I had a little consulting and bookkeeping business and made several trips a year to OKC for my clients. A lot of what I used to do is now moved into the ‘cyber age’, but back then most required tasks to be completed in person. It was not unusual to see a smile as you went about your chores once entering the building. I did not know all the people behind those smiles personally, but to say I grew accustomed to seeing those faces is a understatment! Some faces I would never see again! 17 years ago. as the devastation unfurled, I was glued to my television in hopes of seeing at least just one face I recognized. I did recognize one, it was a face of shock and yet it also was face of survival. Yes, one of the 637 who survived. Those survivors, like the nearly 100-year-old American Elm (now dubbed ‘The Survivor Tree’), is a testament to the human spirit. An affirmation of Peace and Hope. Last year during Oklahoma Arbor Week, The Survivor Tree was honored and celebrated as a symbol of resilience and strength. As with all survivors of that day… a symbol of Healing! 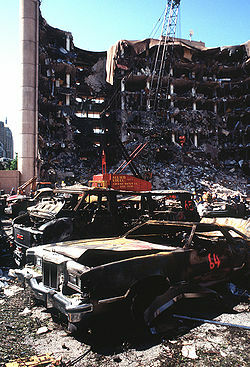 At 9:02 on the morning of April 19, 1995, Our nation lost its innocence. The moment 168 men, women, AND children lost their lives. The moment that 637 souls battled for survival. The moment families were changed forever! On this day in 1995 as well as that day on September 11, 2001, America with all her diversity, shows the world and her enemies exactly what resilience is! Feel free to read my rememberence post from last year HERE!.